How can one possibly say that depression is a gateway to inner peace? When we are depressed, it feels like peace is something only enjoyed by others – never by ourselves. We feel as though we are stuck in this state forever, destined to feel awful. We wake up with a feeling of dread and go to bed feeling the same way. Yet we can view depression as an experience that can assist us to evolve and to become more whole. This state of being alerts us to the fact that we have disconnected from who we really are and that something is not right with the way we perceive our reality. When we are fully connected and are comfortable with who we are, and have self-love – there is little room to experience discordance. Life flows in a positive direction and we experience a deep sense of inner wellbeing. In the moments when life does throw us a curve ball, we know how to positively reframe the experience. In this way, depression can be viewed as a gift. It forces us to journey within to root out the illusions and negative/false beliefs we have created about our self. 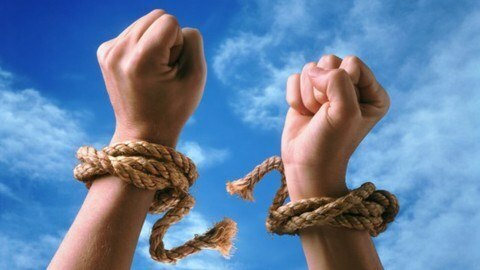 From here, we can make changes to our self-beliefs and the way we interact with others and our environment. In days gone past, certain indigenous cultures viewed ‘mental illness’ as a spiritual initiation. Members of the tribe sat in ceremony with the sufferer, supporting them while they processed the unintegrated aspects of self. They journeyed with them as they experienced a shamanic death i.e. the death of the ego. The person experienced rebirth and a stronger whole sense of self. It is a shame that the modern world views depression as a weakness and shuns those who experience its symptoms, because love and understanding is the key to healing. Many of us cannot know true happiness and joy until we have known the depths of despair. It takes an enormous amount of courage to delve into ourselves to unravel who we are. When we understand and accept the dark and light sides of our nature, we grow and evolve in the most profound ways possible. When we come out the other side of this process we experience extraordinary self-love and peace. The experience of depression can be a key that unlocks this door. Press the link below to give you a closer look at Teagan’s amazing course. In our modern world, the conventional treatment for depression is via medication and engaging in therapy with a psychologist or psychiatrist. These conventional practices however, often only focus on the mind and emotions. A person with depression is encouraged to talk about how they feel and to explore solutions with the therapist. This approach can take years and many ‘clients’ remain stuck and frustrated in their experience of depression. Depression i s experienced not only in the mind and the emotions but also physically and spiritually. 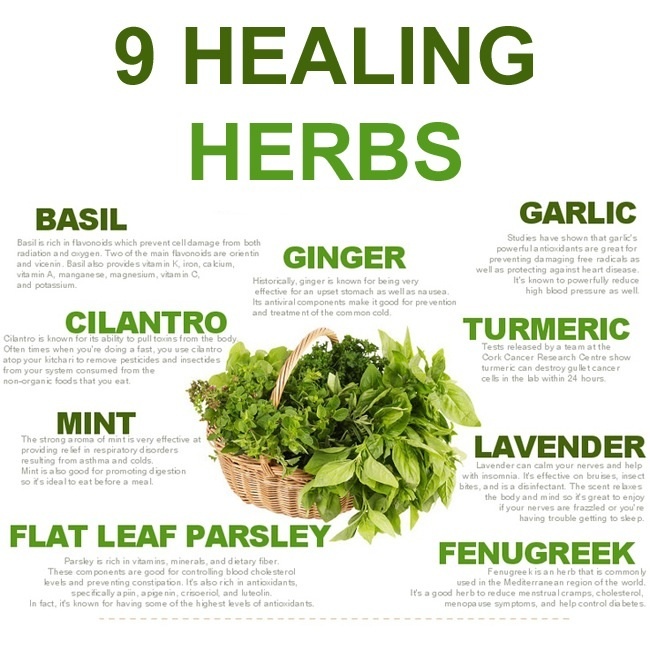 One needs to explore all of these aspects to allow effective healing to take place. The sufferer needs to be treated as a whole being. Profound changes will occur if they are guided correctly, with non-judgment and love. If we positively reframe our perspective about depression we can help ourselves and others to obtain the peace that we desire. Much love to you on your journey. 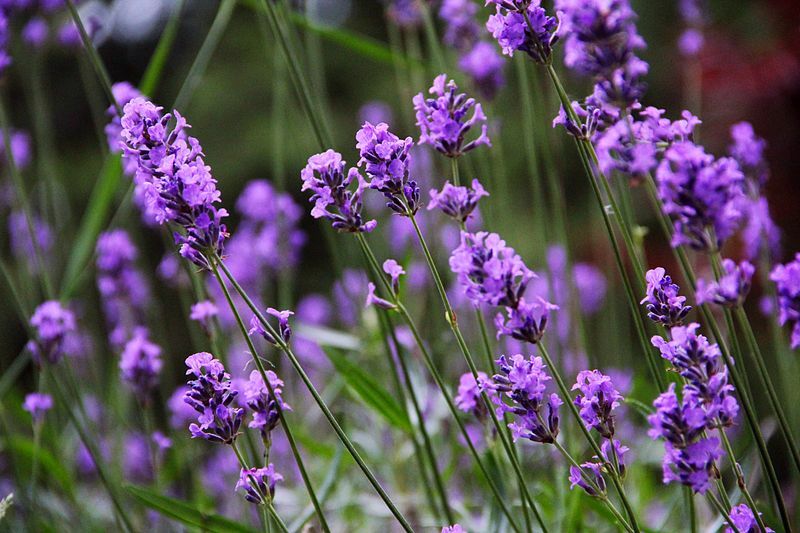 Lavender is the star of the herbal world. Regarded as one of the most beneficial and versatile herbs for therapeutic and cosmetic purposes, the ancient secrets of lavender are out. Here are ten reasons to surround yourself in all things lavender. Lavender’s antiseptic and antifungal properties have assisted in the treatment of pesky skin problems for centuries. Its balancing action helps clear acne, prevent tissue degeneration, calm psoriasis, and aid the formation of scar tissue. As it contains a high percentage of linalool, naturopaths also use it to promote the healing of wounds, cuts, burns, and sunburn. Keep tresses glossy and follicles strong through regular massages with lavender oil. Lavender is found in numerous hair care products, and for good reason – it’s known to balance scalp oils and rejuvenate the hair from root to tip. Beautiful legs are achievable with a little flower power. Lavender improves circulation, tones the skin, prevents stretch marks and dispels fluid retention, thus helping with the appearance of cellulite. Scientific evidence suggests aromatherapy with lavender may be as effective in soothing the nervous system as some pharmaceutical relaxants. It’s renowned for promoting relaxation and improving sleep quality, and is even used by herbalists to ease mood swings and depression. Lavender is famous among aromatherapists as the oil of choice for pain relief. Gentle massage with lavender oil not only melts away body-tension, it is an effective way to relieve pain from headache, sore muscles, aching joints, rheumatism and sprains. Don’t spend another sleepless night coughing. Lavender eases muscle spasms, fights infection, dulls pain, and most importantly helps you sleep. It is extensively used for a number of respiratory problems including coughing, throat infections, asthma, sinus congestion, bronchitis, whooping cough, and laryngitis. igestive system as it can calm the mind. Both an antispasmodic and a sedative, lavender can work wonders on ‘nervous stomach’ and cramps, as well as aid indigestion by stimulating the production of gastric juices and bile. muscle spasms, fights infection, dulls pain, and most importantly helps you sleep. It is extensively used for a number of respiratory problems including coughing, throat infections, asthma, sinus congestion, bronchitis, whooping cough, and laryngitis. Regular use of lavender oil has been shown to boost resistance to disease by lowering the flow of the stress hormone Cortisol. Cortisol lowers your immunity, which makes you more susceptible to colds and influenza during stressful times. The scent of lavender brings about a sense of calm. Research has shown that lavender has soothing and even slight sedative effects when inhaled. Be work wise a spend a few minutes stretching to improve your day. It is a fabulous idea to just make a little time for yourself to have a few minutes several times a day to do some easy stretches whilst at work. This will make a big difference to how your body manages working at a desk. It has the added benefit of you arriving home in better shape as you will not be as stressed because you have actively worked to reduce some of the strain within you. Keep your head still and look up, down and to both sides. Look up and away from the screen, at something more than 3 metres away, regularly. Gently lower your ear to your shoulder and hold for 10 seconds. Slowly roll your chin to your chest and up to the other shoulder. Hold 10 seconds. Turn your head and look over your shoulder for 10 seconds on each side. Tuck your chin in and upwards and hold for 10 seconds. Rotate your shoulders several times forward and backwards. Repeat a few times. Stretch your arms behind your head. Bend one arm and use the other to gently pull your elbow downwards for 10 seconds. Repeat several times on both sides. Shrug your shoulders up on and in vreath and let them drop on the exhale. Interlace your fingers and extend your arms with your palms turned outwards. Hold for 10 seconds then repeat. shake your wrists to literally flick out the stress. Interlace your fingers, turn your palms outward and stretch your arms in the air. Lean slightly from side to side. Repeat several times. Stand and support your lower back with your hands. Gently arch back for 5 to 10 seconds. Lift each foot and rotate your ankle in both directions. Point your toes and then curl them up. hop up and jump an down for a few moments, this really moves the energy about and free concentrated stress from your being. The Taste of Healthy Cacao Beans. Cacao was the ‘Food of the Gods & Goddesses’ and the Mexican Mayans drank cacao chocolate drinks to maintain their vigour and valued the bean so highly that it was used as currency. The Kuna Indians of the Panamian Islands of San Blas who consume raw cacao in significantly high amounts, have extremely low blood pressure that doesn’t climb with age. Raw cacao is possibly the best food source of magnesium which relieves stress and relaxes muscles and also maintains healthy heart and brain vitality. – Raw cacao contains an array of natural neurochemicals such as tryptophan (the feel good chemical in serotonin production), anandamide (the bliss chemical), phenylethylmine… (the love chemical). – Adding dairy, sugar or heat treating (like most commercial chocolates do) destroys most of the amazing healing properties of cacao. Raw cacao is classified as a SUPERFOOD. 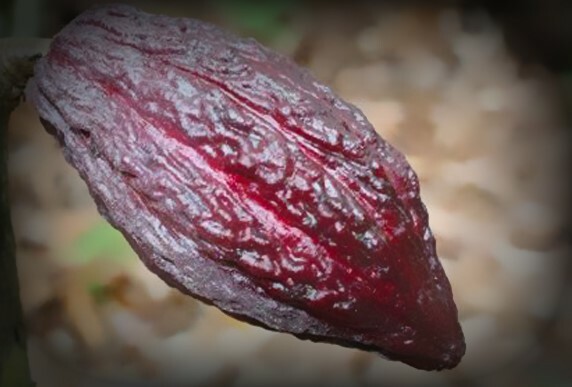 Raw cacao has a high antioxidant rating of 95,500 (on the ORAC scale) – which is 21 times more than green tea and 7 times more than dark chocolate. Raw cacao contains an array of natural neurochemicals such as tryptophan (the feel good chemical in serotonin production), anandamide (the bliss chemical), phenylethylmine… (the love chemical). Adding dairy, sugar or heat treating (like most commercial chocolates do) destroys most of the amazing healing properties of cacao! So don’t…..
Are you polluting our oceans? Did you know that many facial scrubs and shower gels, toothpastes and other personal care products contain tiny plastic beads. these beads are too small to be removed by water treatment plants and are ending up as plastic in the ocean. The beads are unfortunately consumed by fish and other marine animals, not only causing harm to these animals but also ending up in us as part of the food we consume. Some exfoliants contain as many as 350,000 beads in one tube. In the USA the states of New York and Illanois have moved to ban these beads from skin and other personal care items. Check out the labels of the products you purchase. It they contain the words ‘ployethylene’ or ‘polypropylene’ in the ingredients list, as this indicates that the product contains plastic. Opt instead for products that use beads made from clays, bamboo. The Australian Jojoba Company is one of many ethical Companies producing products that are safe for you and safe for the planet. Make Your Own Safe Deodorant!